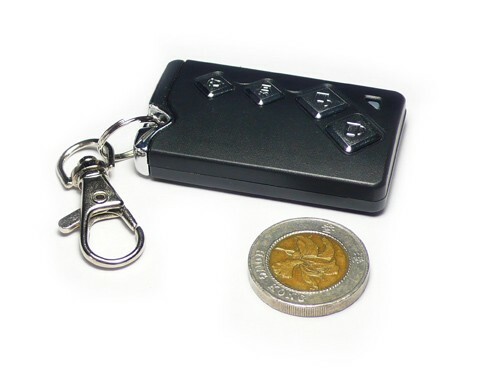 This is a Wireless car key FOB with 4 buttons: Lock,unlock,mute and alarm on. A blue led will light on when any button were pressed. 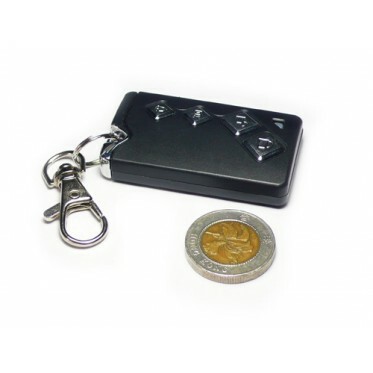 Use this FOB to communicate with Codec-Adaptive Wireless Relay for your remote control project.